Summer has finally arrived and the season has begun. Join me for a coffee or a glass of Croatian wine. Cavtat is absolutely magical! 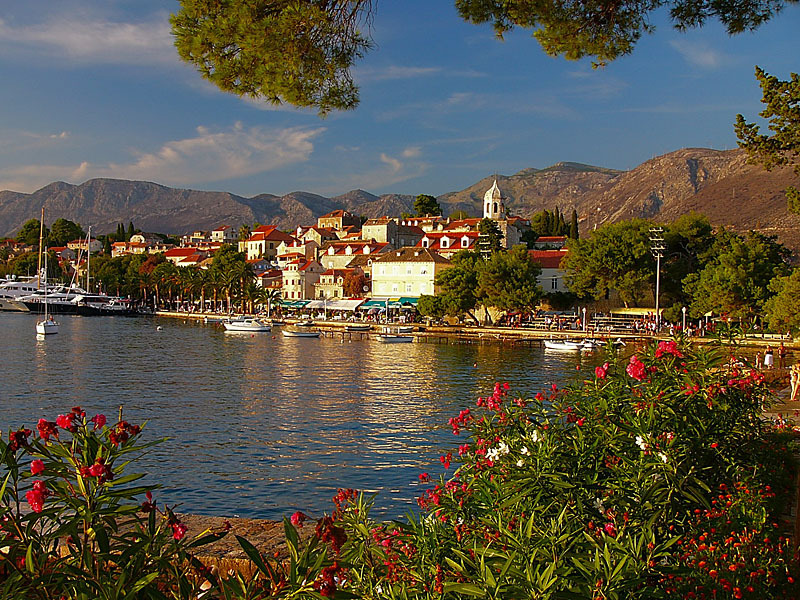 This entry was posted in Dalmatian Coast, Lifestyle, Pearl of the Adriatic, Photo of the Day, Recommendations and tagged Cavtat, Croatia, Dalmatian Coast, Dalmatian Wine, Dubrovniklady, European travel, Hidden gems by Cavtatlady. Bookmark the permalink. Thank you, it is difficult to find a bad shot of the Riva. Doubt highly much has changed other than more new restaurants. Still my favorite place to sit for an early morning coffee, down at the Riva. Carol, another Croatian spot to add to our wish list. You’re fortunate to call such a gem home. 🙂 Enjoy the rest of the weekend!